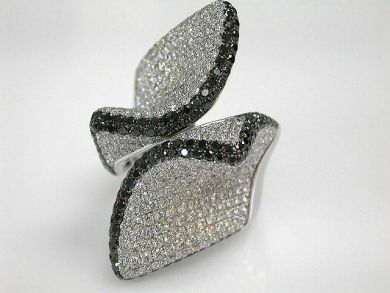 One 18 karat white gold ribbon-motif ring. 162 round brilliant cut black dimonds. 369 round brilliant cut diamonds (2.80 carats: VS-SI clarity: G-H colour).